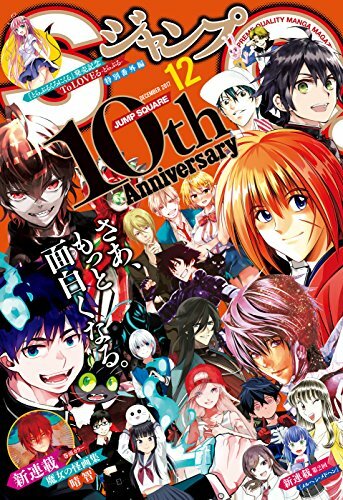 So as some of you already know (and most who came by as a direct consequence of it), I recently helped Super Eyepatch Wolf with his latest video titled “The Current State of Shounen Jump 2018“. He contacted me due to my criticism of his video in the previous year, where I detailed some of the errors he had on his video. I was pleasantly surprised by how open he was to my feedback, and because I always hoped for the Western Community to foster a more in-depth knowledge of the manga industry and its history, I was quite happy to help him on his next video. In a series of two posts, I’ll be sharing the notes I sent during our discussions. Part I: What is Table of Contents? The first part will cover what exactly “Table of Contents” is and how it relates to the internal questionnaire rankings as well as the “myths” that revolve around it. The second part will go over my brief overview of what’s been going on in WSJ from Summer of 2017 to Summer of 2018. What is ToC (Table of Contents)? The Table of Contents (ToC) is the index page that appears at the back of a magazine. 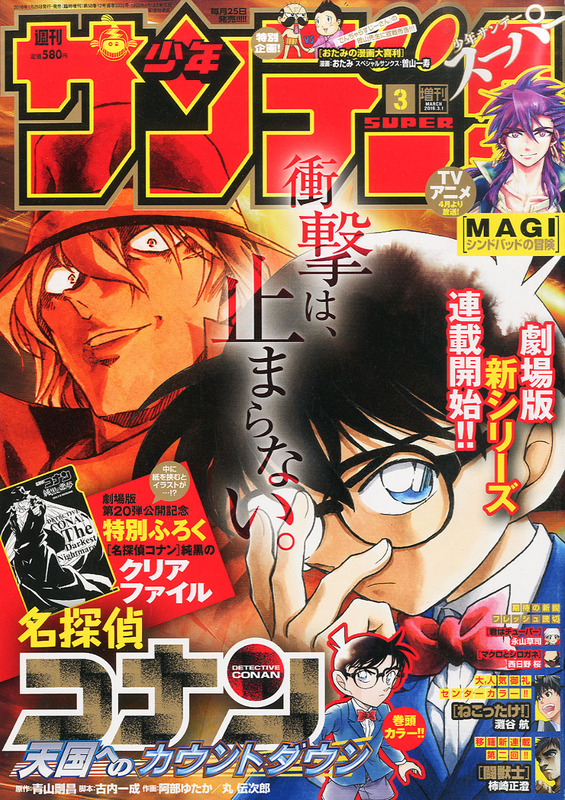 It shows the the order in which the series will appear on the magazine. Many of them would also include one or two sentence comments from the author of each magazine. ToC Position = Questionnaire Ranking? The table of contents (ToC) is ultimately decided by the editor-in-chief, not by some fixed system that tries to project the survey results on to the magazine. 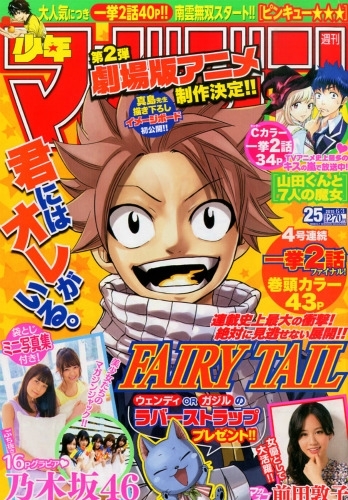 That said, it is undeniable that many magazines, especially Weekly Shounen Jump, show a high correlation and consistency between the expected popularity of a series and the ToC position they appear on the magazine. It is quite natural for people that read WSJ, Shounen Sunday, or Jump SQ on a regular basis to notice that popular series will almost always appear up front, while “weaker” series consistently are pushed to the back. This is even more obvious if you contrast it to magazines that don’t follow this practice, such as Weekly Shounen Magazine or Monthly Bessatsu Magazine. For these magazines, it’s quite common to see many series frequently jumping up and down the ToC week-by-week. While you can still observe some long term trends in their positions, there’s a lot more short term variations compared to a magazine like WSJ where the ToC is for the most part pretty stable from week to week. 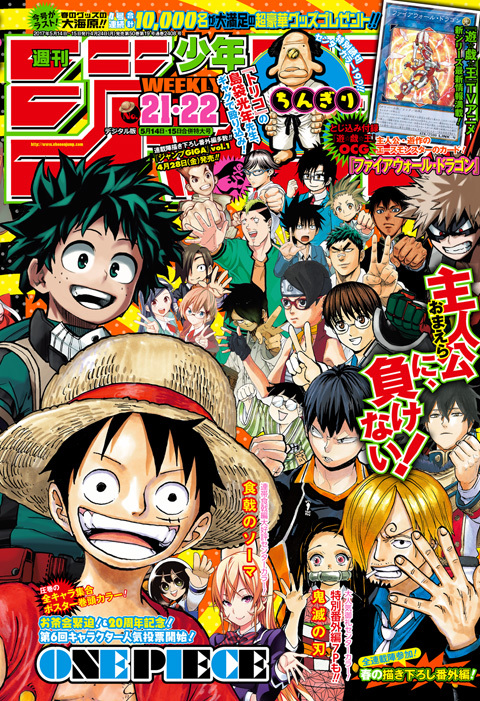 The most notable example is Attack on Titan, which is undeniably the most popular series of Bessatsu Magazine by a wide margin, yet you frequently see it pushed to the middle of the magazine unlike One Piece that pretty much never leaves the Top 3 spots of WSJ. Even for these more “volatile” ToC, if you average out the ToC positions over a long period for any magazine, you can still map out a consistent trend of popular series showing up front, weaker series showing up in the back. This is because it’s a standard marketing practicing to promote your best products up front and it applies to non-manga magazines too. However, ToC is still a ToC and not a “true” reflection of the ranking. What we are ultimately seeing is the Editor in Chief’s reflection of what he feels is important or interesting in a particular week, which appears to be influenced heavily by the general popularity of the series in the case of WSJ, but other outside factors are still there and I’d assume it’s not going to be the same for every editor. Probably the biggest misconception floating around the web is the notion of “8 week rule” where people believe the ToC are reflective of a series’ survey performance from 8 weeks ago. As far as I can tell, this “rule” stems from an old estimate that it’ll take about 8 weeks for the full survey results of a series to get collected and then published on a weekly issue, but there is no real fact surrounding this belief. There are even couple instances based on the known internal results of certain series that straight up contradicts this “rule”. Likewise, similar other “rules” such as “first 8 chapters aren’t ranked” or “color pages don’t count” are also up for debate. Personally, the main (and only) value I see in following the ToC is for predicting which series is going to get axed and which series is going to survive. This works out fine regardless of whether or not ToC properly mirrors the survey result, because it’s a reflection of the Editor in Chief’s opinion of how a particular (new) series is doing. In the end, Editor in Chief is the one that decides whether or not a series lives on, so interpreting the ToC as a reflection of the editorial’s view of the series is a pretty good estimate to a series’ prospect, and it serves that purpose quite well especially for WSJ. This is pretty much why I mainly focus on the bottom 5 position of the ToC and mostly ignore the rest. People like to get worked up about each little placement and a series ranking over another on a particular issue (and I do understand the “fun” of it), but I personally find it pointless to focus on week-by-week placements of individual chapters as there’s too much variability. On the other hand, long term shifts in ToC placement has certainly shown some interesting perspectives on whether or not a series is trending upward or downward, and there is definitely a fair amount of correlation between ToC and popularity (or “hype”) of a series. This was more of a graphic suggestion to Super Eyepatch Wolf, but here are some notable examples made by Yoshinaga Tatsuki, editor in chief of of Goo Imadoki web page. In his post, Imadoki charted the ToC positions of various well-known Jump series to see how they trended throughout their serialization. Note that what’s charted is the ToC position, so the high Y-axis means it’s at the back of the magazine (“bad” ToC position). Weak reception early on, as mentioned by Toriyama & Torishima, but ToC stabilizing to the front after introduction of Master Roshi and World Tournament. High popularity from the start. ToC dropping to the back in the second half after the death of L in ch.58. Rise in popularity during Soul Society and Arrancar arc is reflected on ToC, while poor reception post-Arrancar arc is also reflected in the ToC position and sales. High popularity for the most part throughout the series. As you can see from some of these examples, there is some merit to the correlation between ToC position and “popular reception”.